Join in the celebration of the 888 Casino 20th Birthday Bonanza and get instant rewards by completing daily challenges on 888casino. 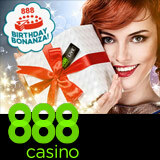 No deposit is required as player just need to complete their daily challenge to claim their 888casino Birthday Bonanza reward. 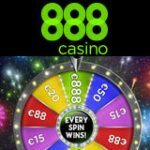 There is also an 888 Casino Live promotion where players can get up to €12,000 in total casino bonuses until 3rd September. 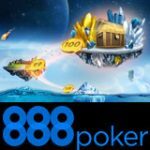 Players can get 10%-50% bonus up to €500 daily on 888casino live by making a deposit with 888 bonus code. 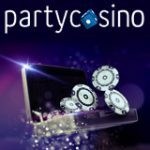 888casino is celebrating it's 20th birthday with a special promotion for it's players and any new players who signup in August 2017. To participate in the 888 Casino 20th Birthday Bonanza promotion, players are required to complete a simple daily challenge to get an instant reward. Get an instant reward as soon as your challenge is completed. Players can repeat the steps daily to get the maximum rewards during the promotional dates this August. The 888casino software features live dealers with streaming video of the dealers at the tables. Play your favourite table games in real time, game selection includes: Blackjack, Roulette, Baccarat and Holdem varieties. The live dealer casino games are also available on the 888casino app where players can experience the thrills of a real casino on their mobile device. 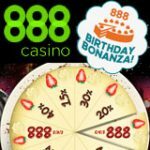 As part of the 888 Casino 20th Birthday Bonanza celebrations there is special promotion running on 888live casino until 3rd September, 2017. Follow the steps below to claim a daily deposit bonus ranging from 10% to 50% of the deposited amount up to a maximum of €500 per day. Get your Birthday Bonanza bonus. Repeat the steps daily for the maximum bonus which adds up to a total of €12,000 in bonuses during the promo dates. 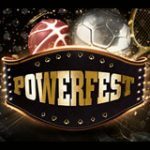 Players must complete the wagering requirement of three times the bonus amount before the bonus is available for cashing out.